The chronograph watch has had multiple attempts to be reinvented. The chronograph is an exercise in fine watchmaking which, however, has not seen the design of its movement fundamentally changed by each watchmaking progress in recent years. This has now been achieved, at the cost of major mechanical development, worthy of a major watchmaking prize. Singer Reimagined's Track 1 won the ultimate Grand Prix: the Geneva Watchmaking Grand Prix, with a prize in the Chronograph category (mechanical chronograph). Singer has succeeded in changing the period chronograph watch, while preserving its mechanical character as a luxury watch. Rob Dickinson and Marco Borraccino succeeded in this feat by working on the construction of Singer Reimagined, an offshoot of Rob Dickinson's Singer Vehicle Design. Man is not a watchmaker or a watchmaker's expert. He is part of this new wave of entrepreneurs who are taking mechanical watchmaking out of its shackles, approaching watches with hindsight and a strong design spirit, shared by Marco Borraccino. The latter, Marco Borraccino, is an expert in watch design for watches. Their association would give birth to Singer Reimagined and would forever change the face of the chronograph watch. This new watch adventure would not have been possible without the help of a Geneva watchmaker, Jean-Marc Wiederrecht. It was him, Jean-Marc Wiederrecht, who brought to life the watch movement designed by Rob Dickinson and Marco Borraccino for their wristwatch. The name of this new watch? Track 1, as a track, a track in English. No doubt Rob Dickinson and Marco Borraccino were looking for inspiration for their Singer Reimagined Track 1 racing chronograph and Grand Prix watches. The watchmaking challenge of this new mechanical watch was to present the hours, minutes and seconds in a new way compared to other brands: in the centre of the dial. Usually, the hours, minutes and seconds appeared in different sub-counters of the dial, a watchmaking chronograph design that had not changed for decades. 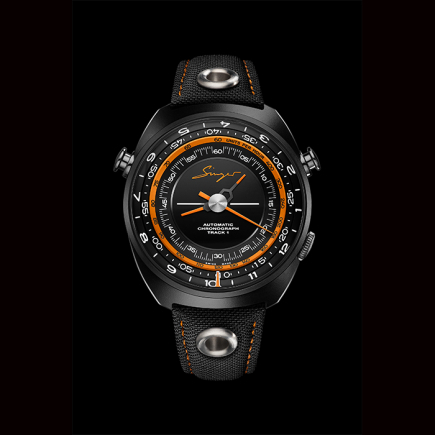 Rob Dickinson and Marco Borraccino wanted a central display for their Singer Reimagined Track 1, but one that required 100% unprecedented watchmaking development. 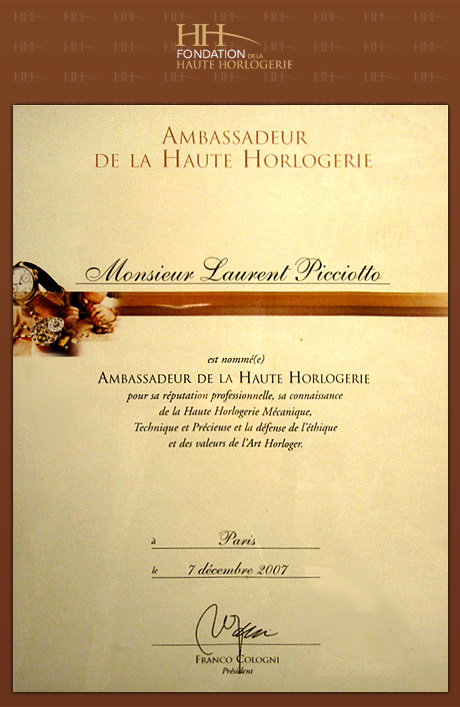 This mission of haute horlogerie was entrusted, in Geneva, to the watchmaker Jean-Marc Wiederrecht who had been working on a similar movement for many years. 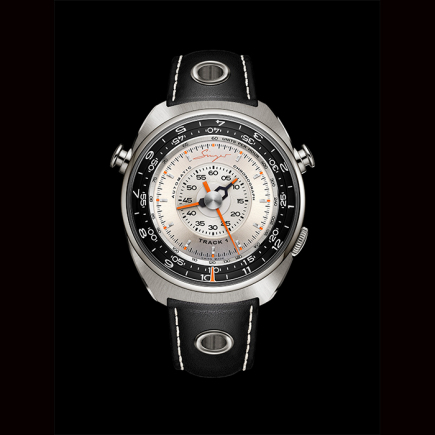 It was completed with the Singer Reimagined Track 1 chronograph watch. 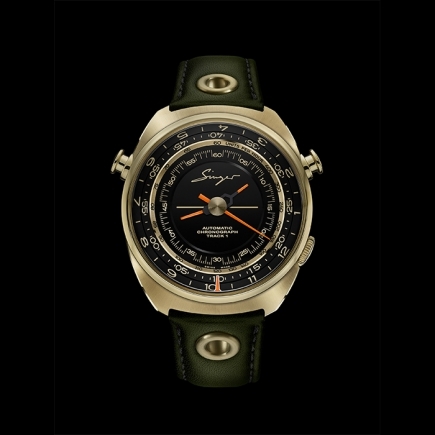 This revolutionary mechanical movement, designed by Rob Dickinson, a great collector of Porsche at stratospheric prices, and Marco Borraccino, an expert in watch design, was for a time exclusive to the Singer Reimagined Track 1. This haute horlogerie chronograph with its central minutes has had a Track 1 Launch Edition and a Geneva Edition - two watches for the same mechanical chronograph, sharing the same movement made in Geneva by Jean-Marc Wiederrecht but with different design elements. Rob Dickinson and Marco Borraccino played on a new version of the dial, a new version inspired by watches giving this chronograph a different design each time. Chronopassion is AUTHORIZED RETAILER of Singer Reimagined since 2018,date of the brand's birth.